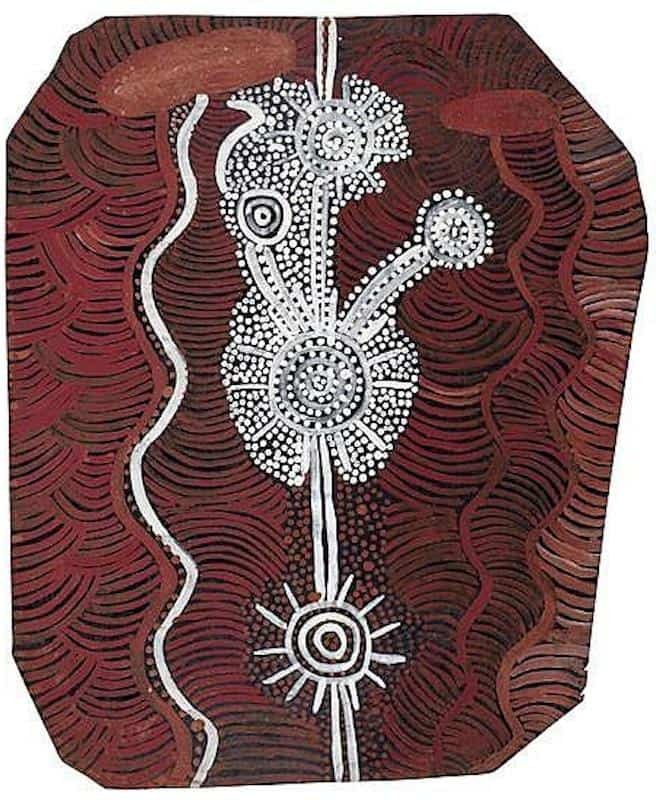 Old Walter Tulpulpa was already an old man at the start of the Western desert Aboriginal art movement. He is also known as Old Walter Talpulpa or Old Walter Talpana. He often painted in ochre tones on Composition board. His early paintings are quite small and are ritual and contain secret imagery meant only for the eyes of initiated men. 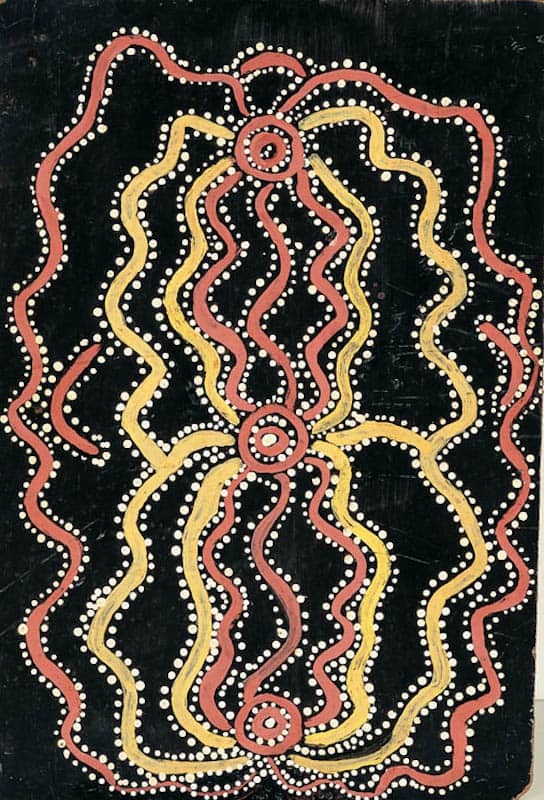 The aim of this article is to assist readers in identifying if their Aboriginal painting is by Old Walter Tulpulpa. It compares examples of his work. It also gives some background to the life of this fascinating artist. 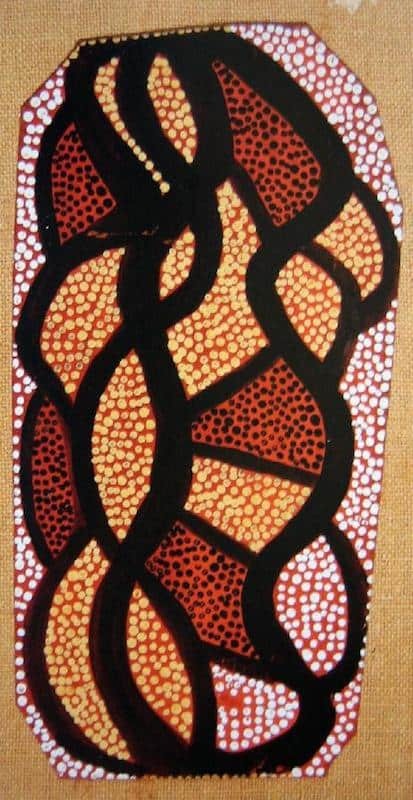 If you have an Old Walter Tulpulpa Aboriginal painting to sell please contact me. If you want to know what your Old Walter Tulpulpa painting is worth please feel free to send me a Jpeg. I would love to see it. Old Walter Tulpulpa was born around 1910 and lived a traditional nomadic hunter-gatherer lifestyle for much of his life. He was fully initiated and knew the secret and sacred stories of the central desert. He was the senior custodian of the Kalipinya water dreaming which he shared with Johnny Warungula and Long Jack. When in his 50s he and his family moved to the Papunya settlement. When he realized only older men could draw these designs he came up with the idea of a mural. He had to receive permission for a design by the tribal elders. It was Old Walter Tulpulpa and Mick Wallangkari who gave permission to use the honey ant dreaming. The mural of the honey ant dreaming was painted by Kaapa Long Jack and Billy and it caused quite a stir in the small community. 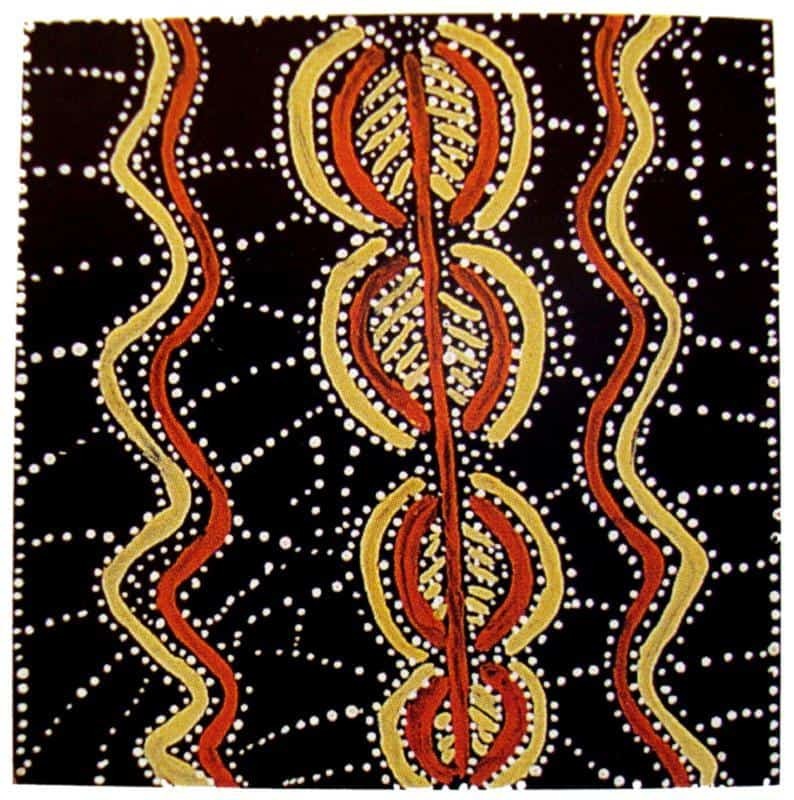 The honey ant dreaming was a story common to all the different tribes gathered in Papunya and proved an overwhelming success. This murals success inspired Bardon to start a men’s painting group. Old Walter was the pensioner of the group. He had great knowledge of traditional designs and stories. He was an acknowledged ceremonial leader and always maintaining a strong tribal interest. Old Walter Tulpulpa hands may not have been as steady as younger artists but his designs had strength. He liked to use the muted natural tones of his desert homelands landscape. Many of his best works were between 1971 and 1974. They are often simple but have great clarity. He was amongst the first to paint the ‘U’ sign for humans, concentric circles for rock holes and wavy lines for water flow. Old Walter was a senior custodian of Water Dreamings that run through Kalipinypa in the western desert. Most of his paintings are of water dreamings and the celebration of its life-giving force. The Kalipinya Water dreaming site was also an important site and focus for paintings Long Jack and Johnny Warangkula. Old Walter did not live long enough to see the desert painting movement grow to its full strength. His painting career ended around 1976 due to health problems. He did not paint quickly or for very long so the number of his paintings are quite limited. His paintings appear in Australia’s state and national galleries. 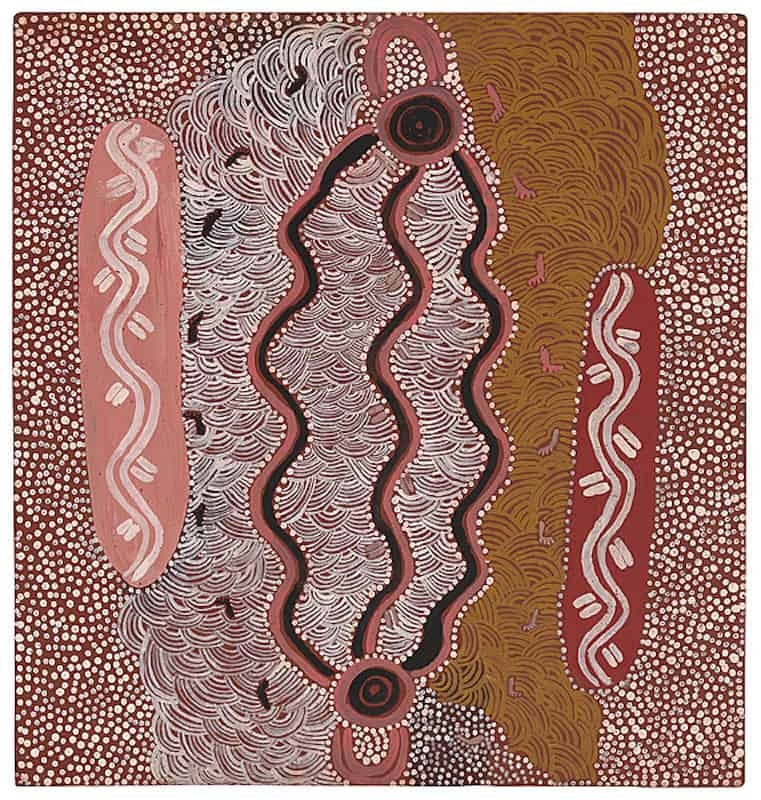 He made an important contribution to our understanding of the symbology of aboriginal art. Old Walter Tulpulpa Tjampitjinpa skin name has variations so he is sometimes called Old Walter Tulpulpa Jampijinba or Old Walter Tulpulpa Djambidjinba.